There are few tasks more important following a bereavement than determining the last resting place of your loved one. The cost of a burial plot depends on a number of factors, such as location, your personal residential status and the type of burial plot you require. Non-residents often pay higher fees for a grave than residents, and burial plots for cremated remains are substantially lower than traditional burials. This article explains some of the costs involved in purchasing a funeral plot and the different types of plot available. How much do grave plots cost? Some inner-city councils, such as the Greenwich council, charge up to £2000 for residents and £8000 for non-residents for the exclusive use of a plot with a memorial plaque. Prices for child graves are, on average, about a quarter of the adult price and ash plots average around £450. 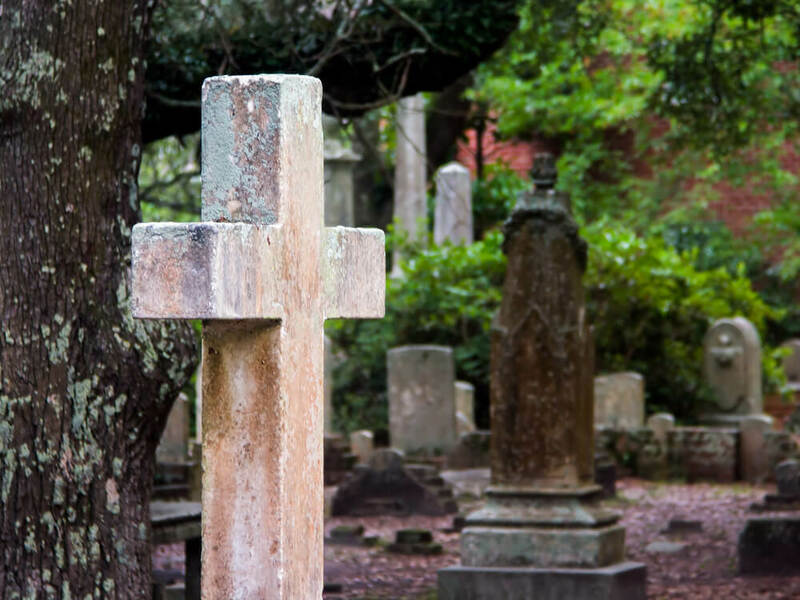 Most consecrated burial grounds – those without a specific religious affiliation – will charge similar fees but allow for the burial of followers of any religious faith. Child burials are cheaper than adult burials because of the smaller size. There is also a compassionate element that takes into account the child’s age of death. Many councils and churches will bury resident children who are stillborn or died under a certain age (anywhere from age 5 to 16) for free in a local cemetery. A burial plot can also be purchased for multiple caskets. Single plots are the cheapest, as only one coffin will need to be buried; however, the law stipulates that you can bury 3 coffins in one plot. The additional costs involved cover the extra time it will take to create the burial plot, yet overall it is cheaper than purchasing 3 different plots. Expect to pay at least 50% more for a double casket and 75% more for a triple casket burial. Cremation plots also exist for those who do not wish to be buried in a traditional coffin or casket. These are much cheaper than burial plots because they take up less space. Cremation plots are normally situated in a specially designed urn garden within a cemetery. Such gardens are often extremely beautiful, with multiple urns decoratively arranged. If your loved one has been cremated or resomated, you may also wish to place their ashes in a columbarium. This is a wall, building or other structure with niches to contain the urns. Although a less familiar option than burial in the UK, thanks to Christian ideas about burial, columbariums are becoming more popular in recent years. Scattering the ashes is a common alternative to purchasing a plot and costs nothing. While the burial plot itself may be cheaper if the deceased’s nearest and dearest decide on cremation or multiple burial, there will still be maintenance costs and solicitors fees to consider. Some cemeteries, such as those in small parishes, will charge a relatively small amount for a burial plot for residents of the area – probably in the region of £800. However, non-residents can face significantly higher costs, potentially in the thousands. Burial in an inner-city cemetery inevitably cost more due to increased maintenance costs and a lack of available space. Still, residents can expect to receive heavy discounts if the burial plot is purchased in advance. Another option, less commonly considered, is the burial of your loved one on your own land. Generally it is not necessary to apply to the council for permission to do this, unless you intend to build a structure such as a mausoleum. This will save large amounts of the upfront cost of a burial but may reduce the value of the property. Finally, if you do not want a traditional burial plot, several other options are available. You can opt for a woodland burial or sea burial, symbolising your loved one’s return to nature. Scattering ashes at sea costs nothing and needs no license. How long does a burial plot last? The ownership of a grave does not last forever – the average lease on a plot is 75 years and graves cannot legally be sold for more than a century. However, when the lease expires the family are given the opportunity to renew it at a cost, allowing graves to be ‘owned’ for generations. Typically a columbarium lease lasts for five or ten years, depending on the cemetery. In order to extend the lease it is up to the family of the deceased to make the arrangements for this with the council. How much does it cost to maintain a grave? There are a plethora of costs associated with burial, such as maintenance costs (also known as endowment or perpetual care) opening and closing the grave and the installation of markers and gravestones (monument fees). Many councils charge fees for traditional grave care. These cemetery maintenance fees will cover things such as grass cutting and insurance for the burial plot, but family members and deed owners will usually be responsible for other types of grave care, such as maintaining gravestones and memorial plots, unless agreed otherwise. Placing your loved one’s ashes in a columbarium comes with additional expenses, as space in a columbarium niche is leased and will need to be paid for until the lease runs out. An upfront fee, including a plaque and inscription is paid in addition to the lease. After the initial lease period expires, a slightly lower renewal fee is charged. Initial ten-year lease fees for a columbarium niche can be as high as £1,200. More expensive options, such as mausoleum burial or private cemetery gardens, can cost £10,000 or more but in such incidents grave care is usually included. If you wish to maintain the grave plot but are unavailable to do so yourself, you may want to consider paying the church, council or a private company to maintain the plot for you. For a small fee lasting anywhere from 5 to 10 years, often costing more than the plot itself, you can pay for all the essentials of grave care – to have the plot maintained with fresh flowers, fresh turf when needed, and the gravestone cleaned regularly and reinvigorated. Is burying ashes in a family grave possible? If you would like your remains to repose within a family plot, there are several options. You can be buried one on top of the other, or opt for companion plots next to each other. Plots that can accommodate as many as four coffins in a single grave are rapidly becoming available in the UK. It is also possible to buy plots in garden cemeteries that have enough room for four or six graves, usually arranged in a circle around a tree or flowering shrub.